EXHIBITED: Nashville International Airport “Flying Solo” 2007. EXHIBITED: "American Still Lifes", The R.W. Norton Art Museum, March 3 - May 25, 2014, David J. Wagner, curator. 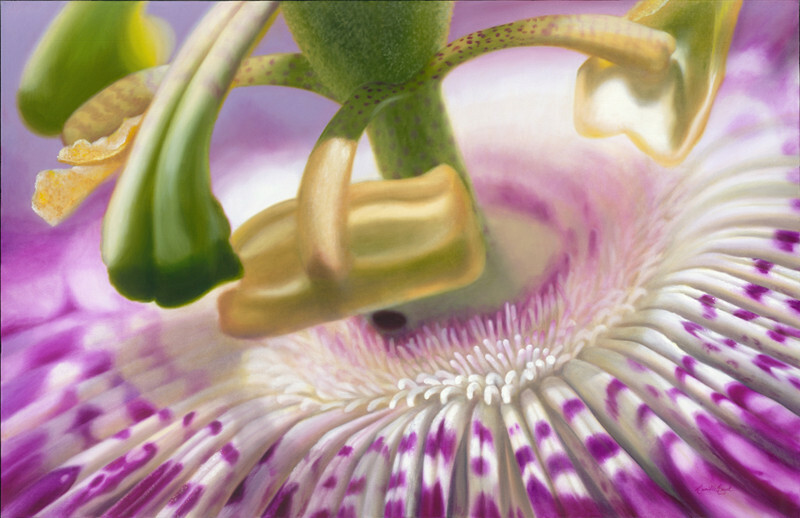 A contemporary realism still life floral painting depicting a macro view of a Passion Flower (Passiflora), one of Tennessee's State Wildflowers.